The Cupertino tech giant looks to be bringing finger-tingling tech to your iPhone screens, starting with the iPhone 6. Sources say Apple's upcoming iPhone 6 is going to ship with a haptic feedback enabled screen, capable of emitting subtle vibrations when touched - only if an app chooses to make use of it, of course. The report from Laoyaoba.com says fast-approaching blower will tote a 'tactile feedback linear motor' which will be capable of vibrating even on very specific areas of the touchscreen. Apparently, the current vibration motor built into the iPhone 6 costs just £0.35, but the new haptic motor will cost around two to three times more. According to MacRumors, Apple filed a patent on haptic feedback back in 2009, which referred to the idea of iPhone users feeling out various areas of a web page. We've been indundated with iPhone 6 leaks lately, with Spigen recently revealing the 'Air' branding of the 5.5-in version, vlogger Brownlee showing off an 'impossible to scratch' sapphire crystal iPhone 6 screen, and grapevine incarnate Sonny Dickson tweeting what looks to be three iPhone 6 dummies. 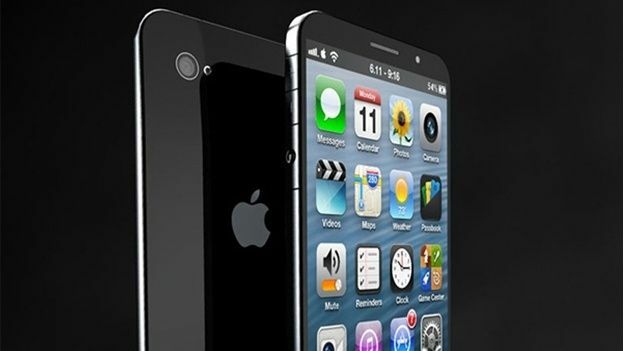 Head over to our iPhone 6 rumours round-up page to get the latest on Apple's upcoming smartphone.